3 Bedroom Semi Detached House For Sale in Tunbridge Wells for Guide Price £550,000. Freeman Forman are delighted to present this beautifully presented, extended three bedroom semi-detached 1930's period property. Situated in the popular residential area of St. James in Tunbridge Wells. In an elevated position with beautiful views over Grosvenor & Hilbert Park the best of both worlds are on your doorstep. With a garage tucked at the end of the garden and a large drive to the front the practical boxes are also ticked. The property currently offers a sitting room with bay fronted window and built in window seat, a kitchen/breakfast room that has been extended at the side to add in a utility room, a separate dining room with views over green space and a handy w.c. Stairs rise to the first floor with three double bedrooms, two of which have plenty of built in storage. The recently renovated bathroom is fitted out wit non slip tiles and under floor heating, adding the extra class and safety that every home needs. 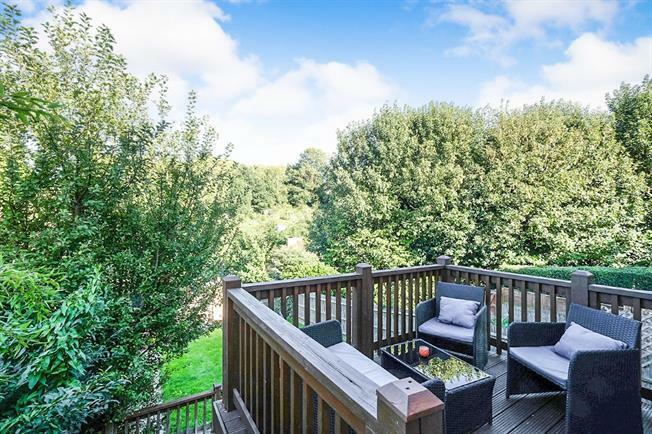 Outside the French doors lead out to an elevated decking area, making the most of the beautiful views at the rear & the garden is mostly laid to lawn. Here there is also a door to the cellar, that already has lighting and windows, subject to the necessary planning consents this space would lend itself beautifully as more living accommodation. A viewing comes highly recommended.